Ladies! 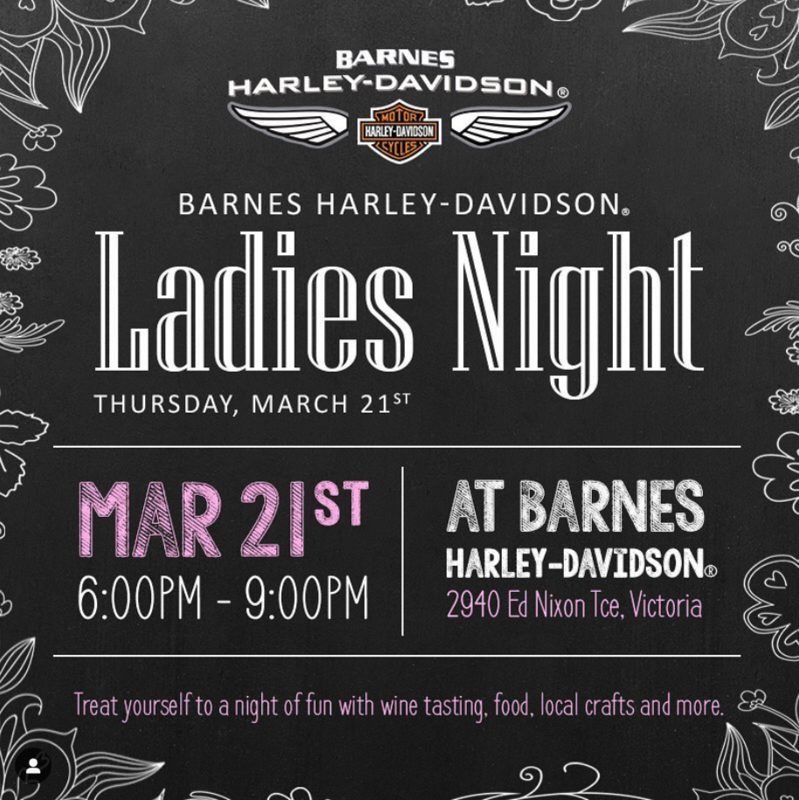 Treat yourself to a night of fun, wine, and motorcycles! - Killer sales to kick off your riding season and more! You don't have to be a rider to attend as there's something for everyone! Also wine, there's wine.